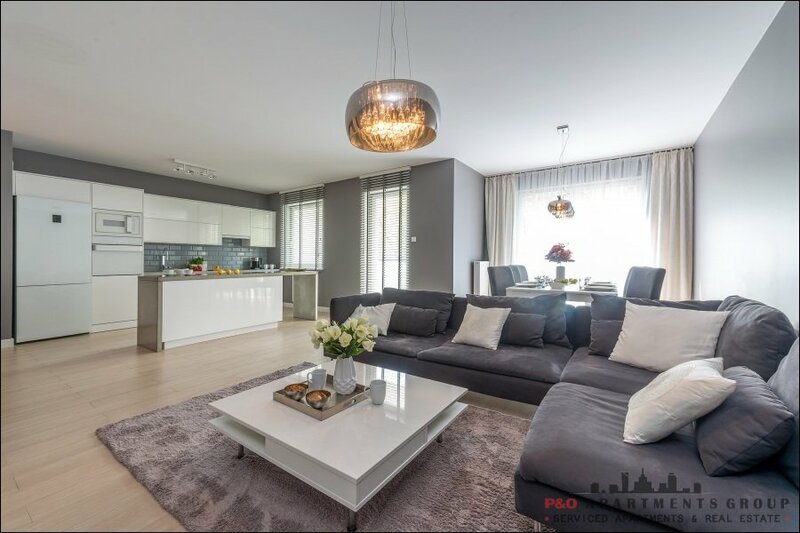 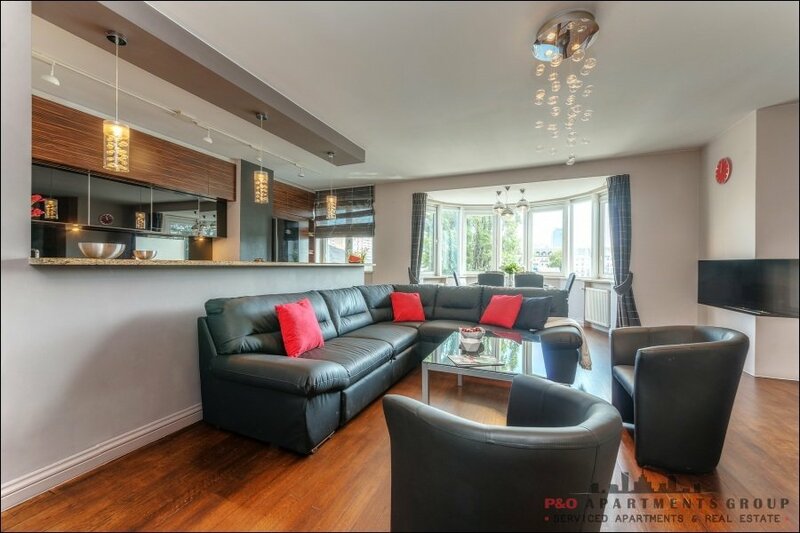 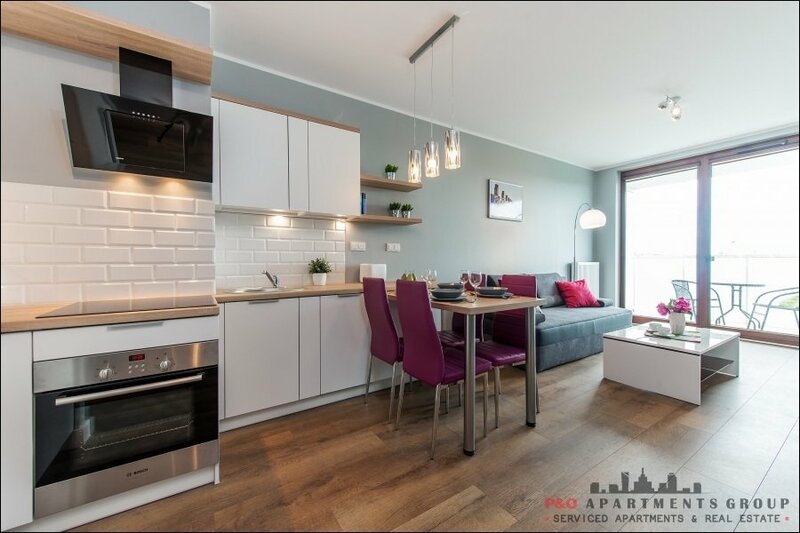 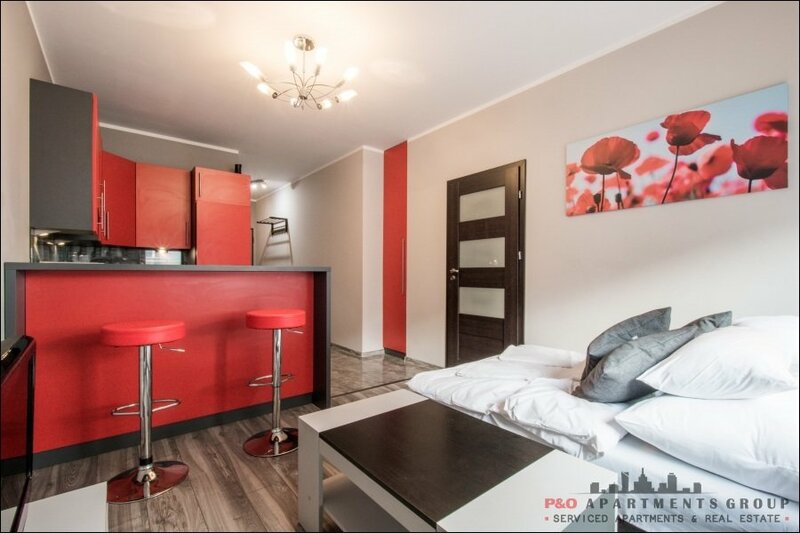 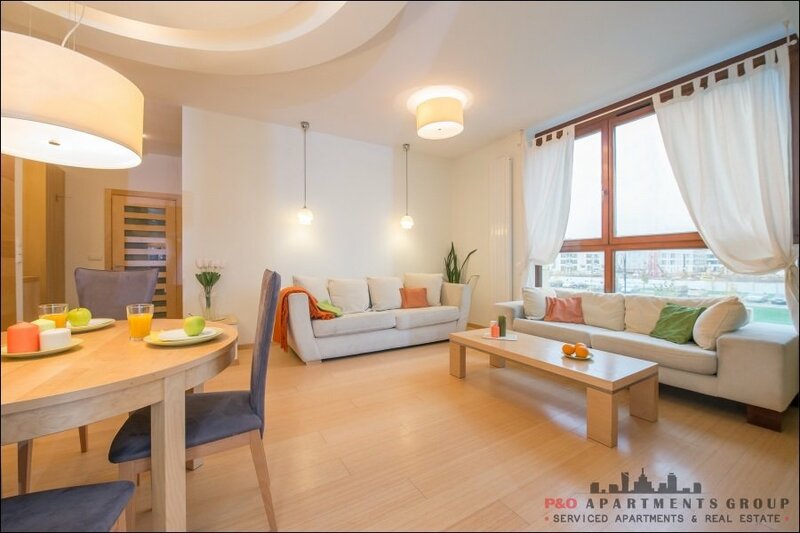 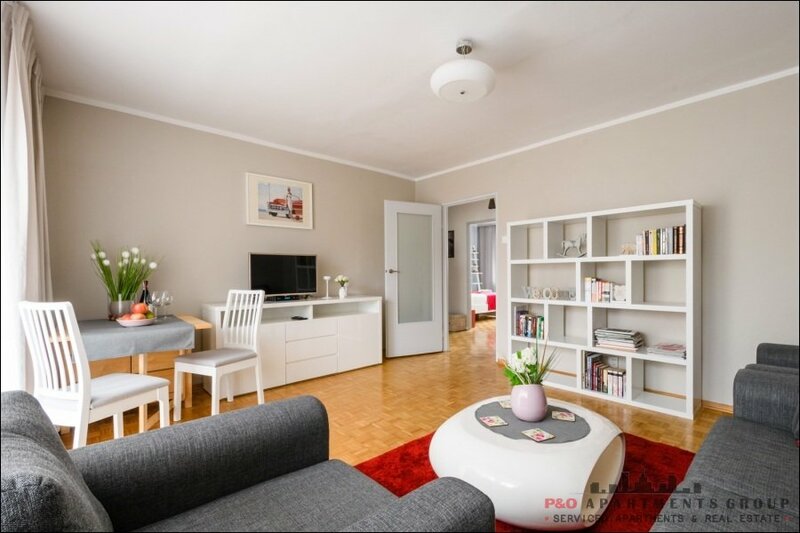 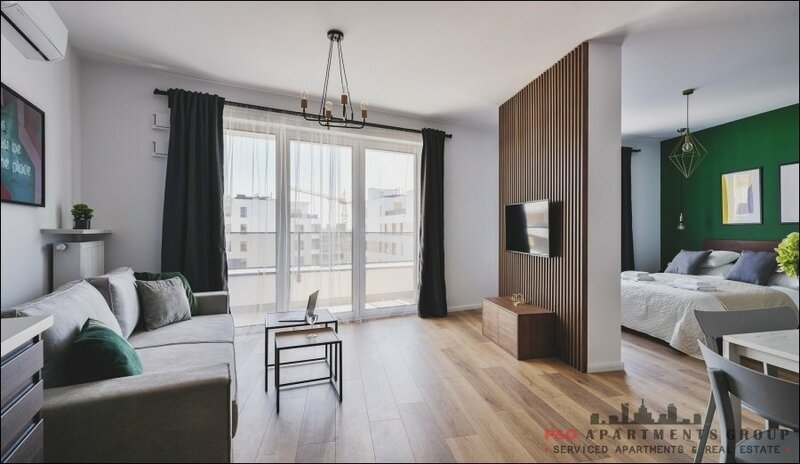 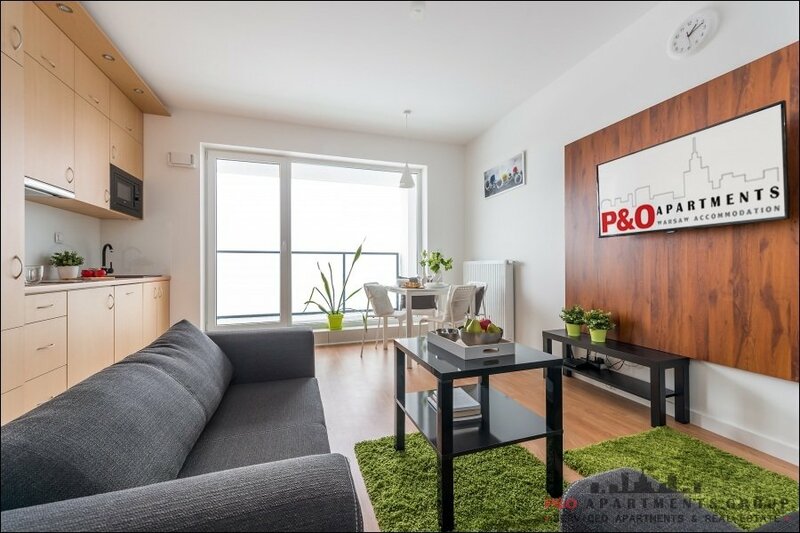 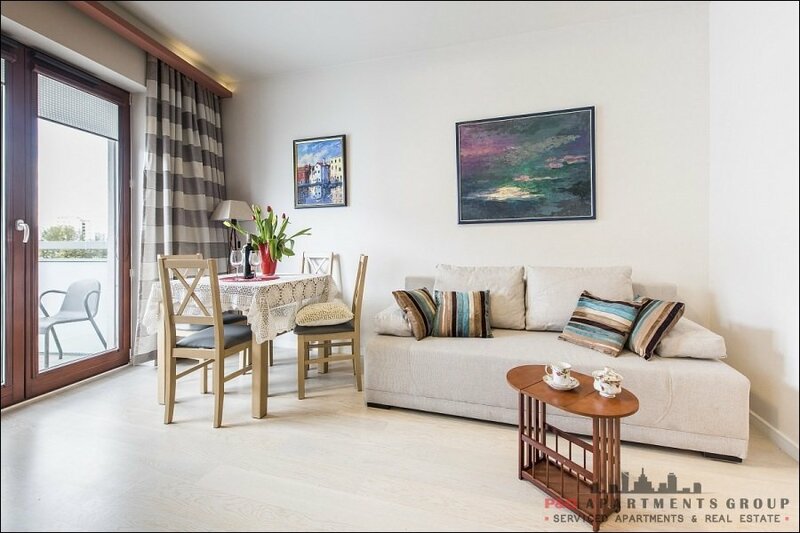 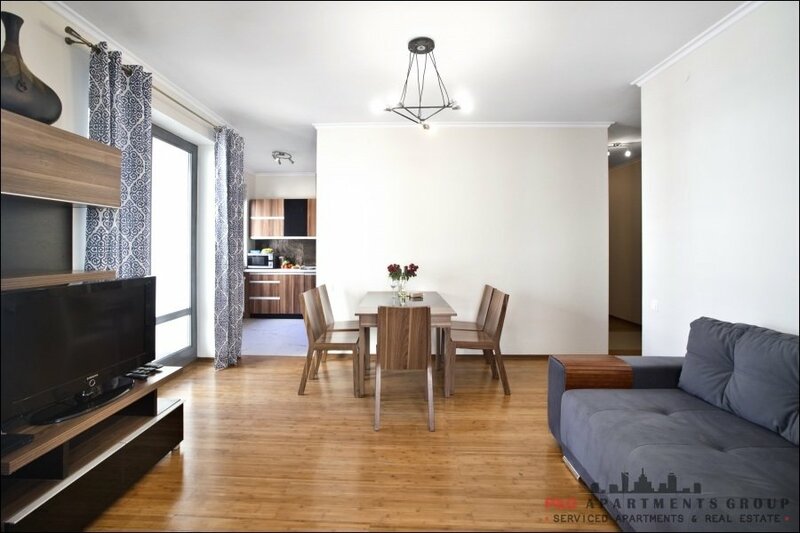 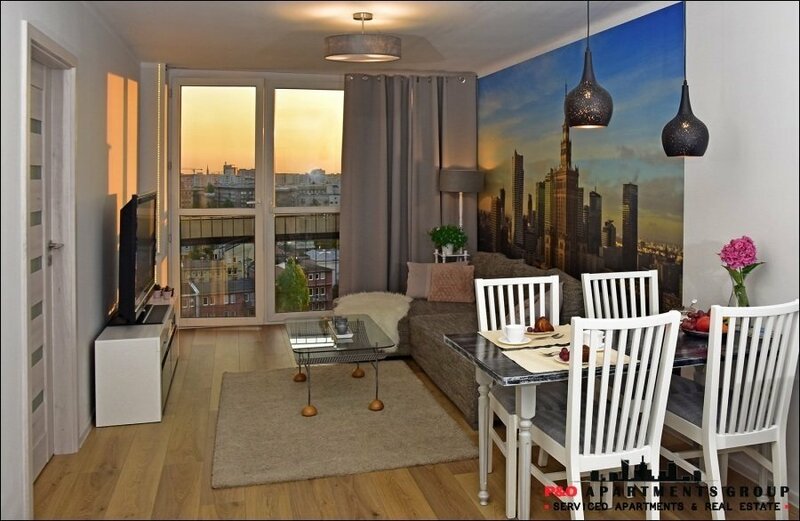 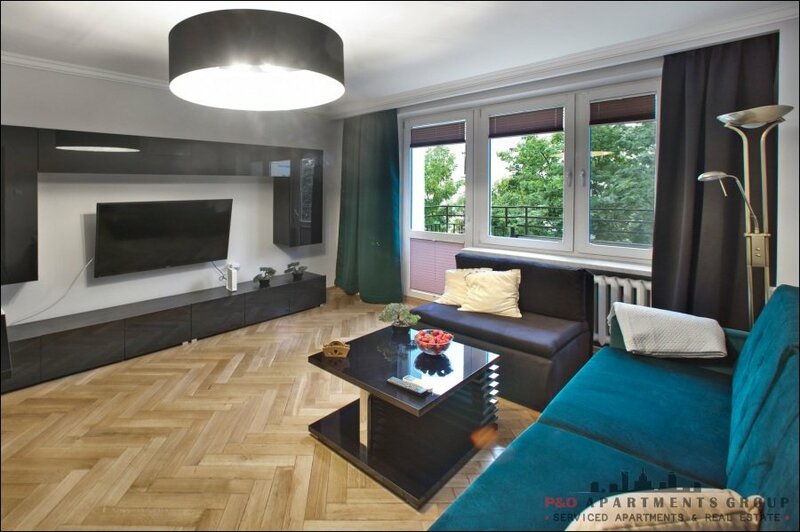 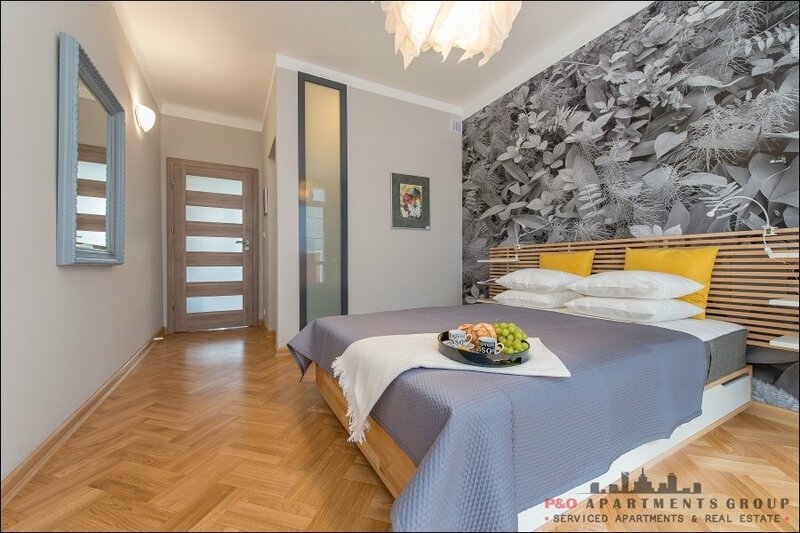 Luxuriously furnished apartment, comfortably furnished, on the new Vantage Development estate, a short distance from Garelia Mokotów and ul. 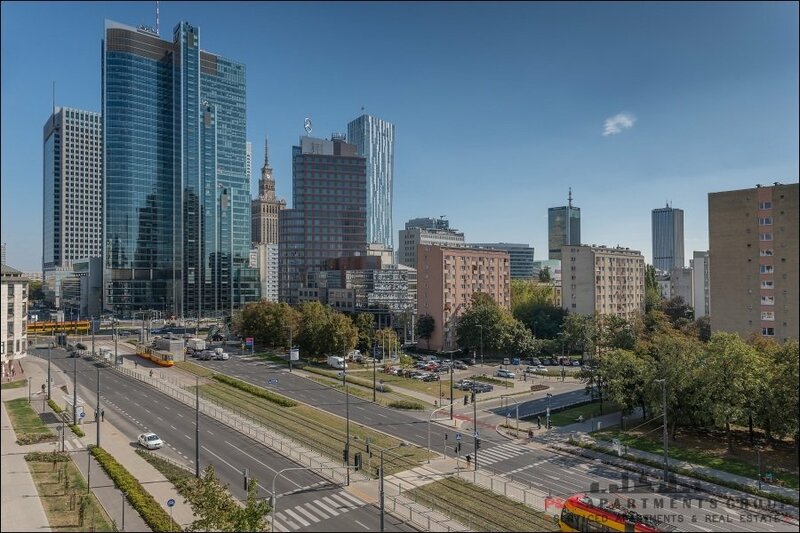 Marynarska, business center at Domaniewska, relatively close to the OKĘCIE airport. 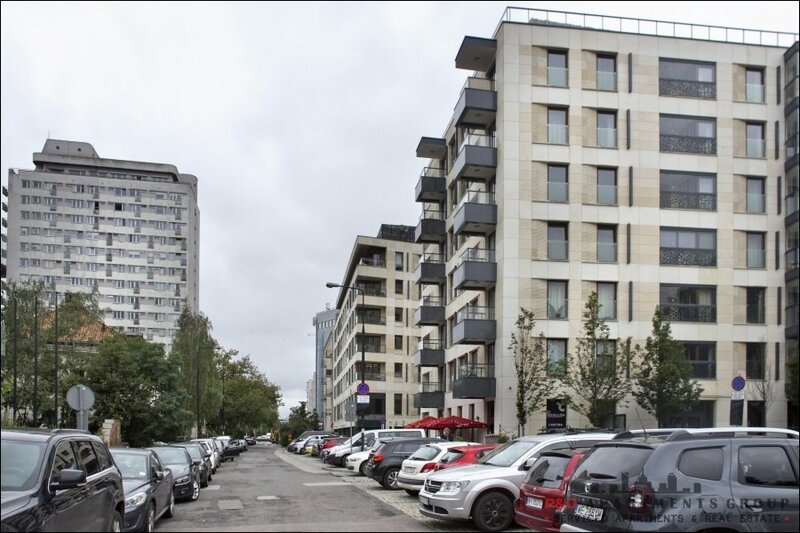 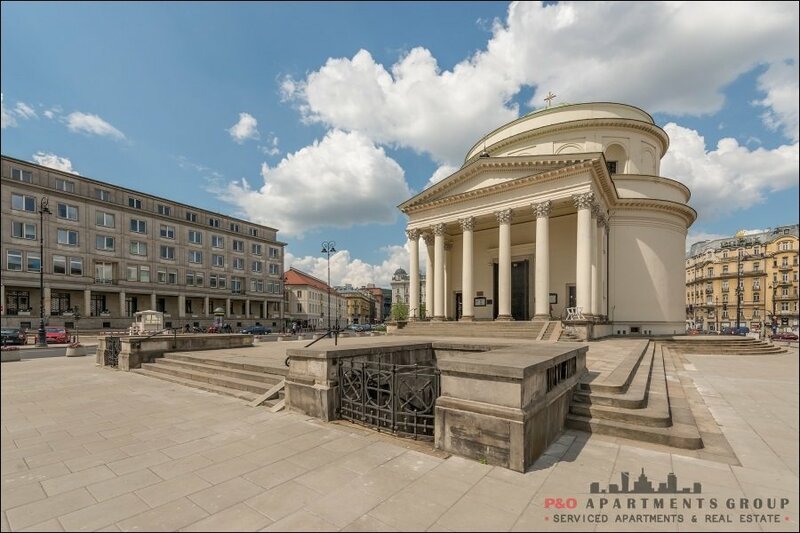 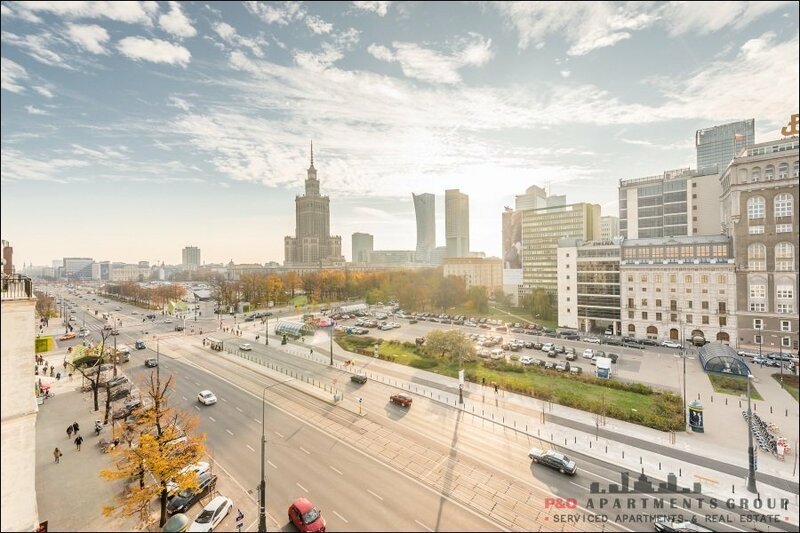 Convenient access by bus to the Metro Wilanowska station. 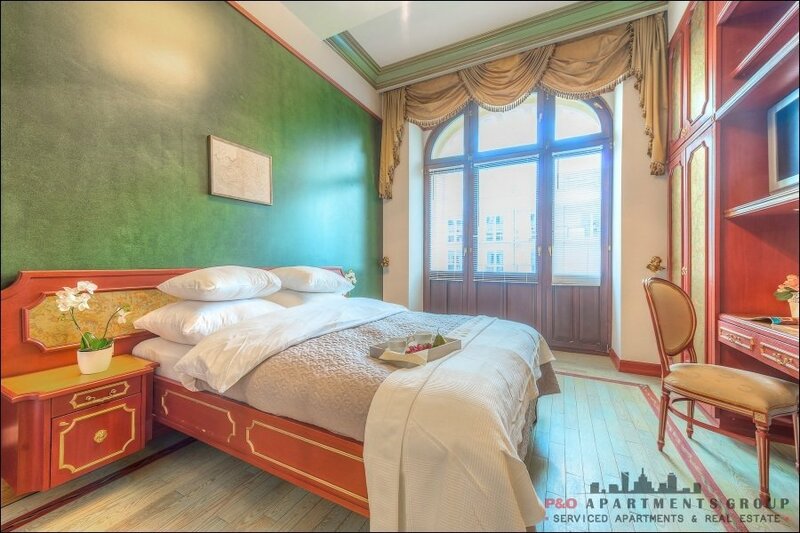 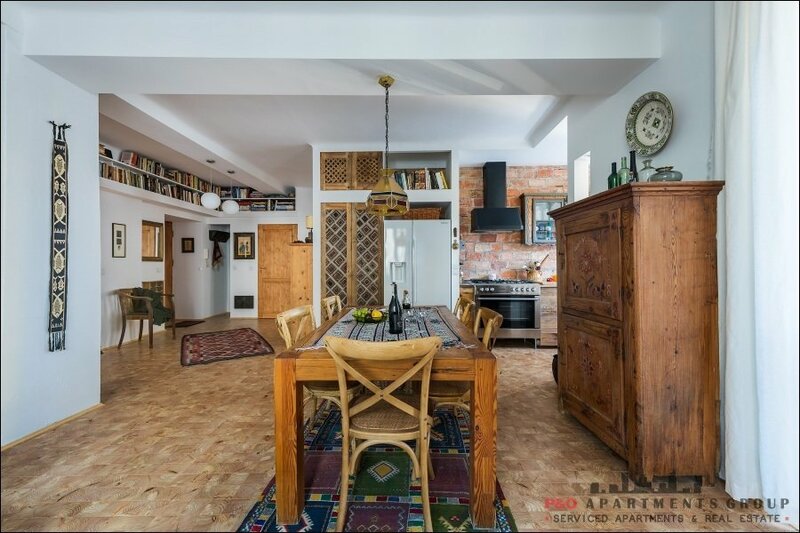 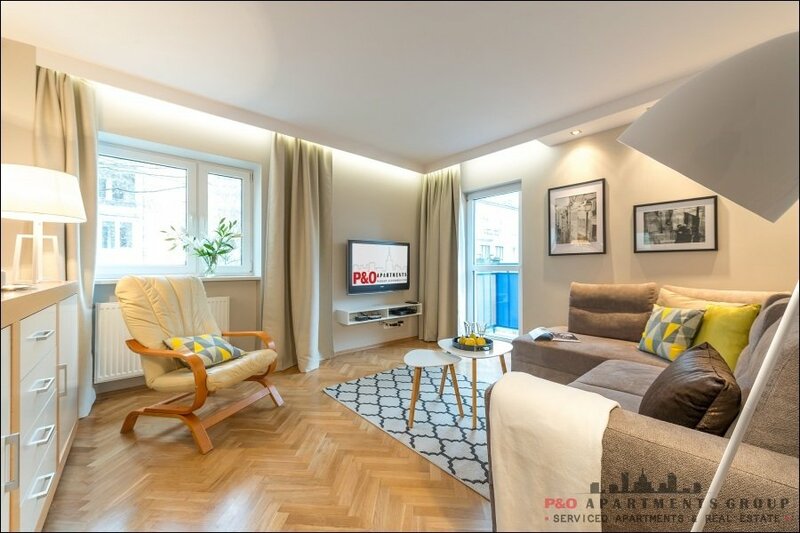 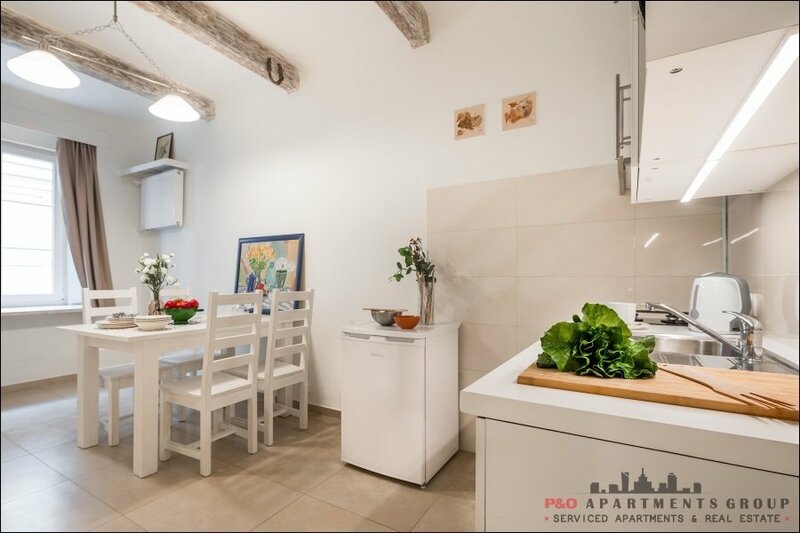 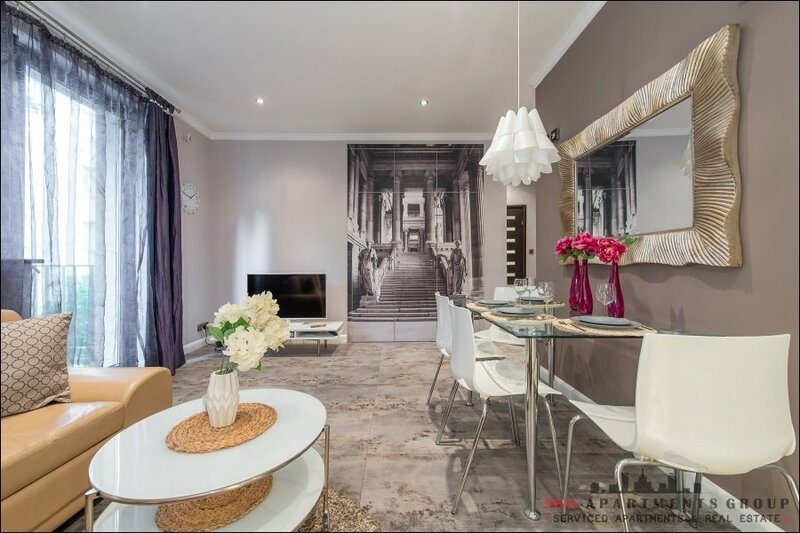 An apartment with an area of ​​48m ideal for business stays or for families with children - available space in the underground garage. 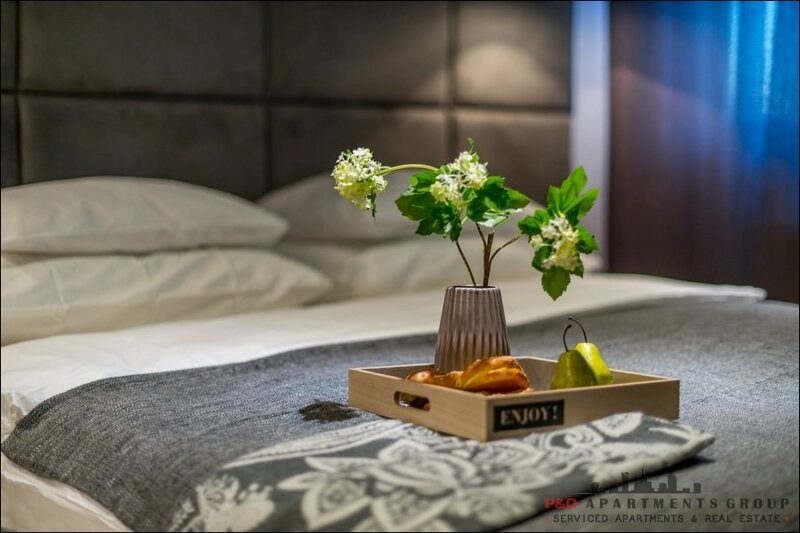 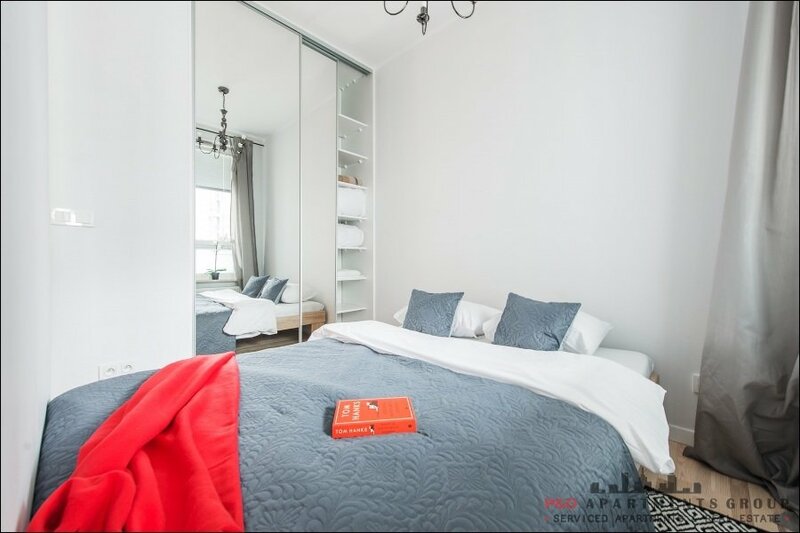 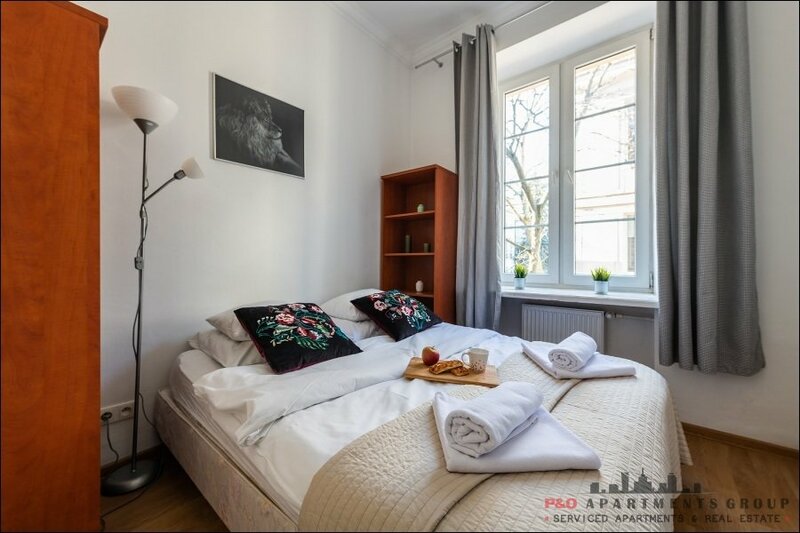 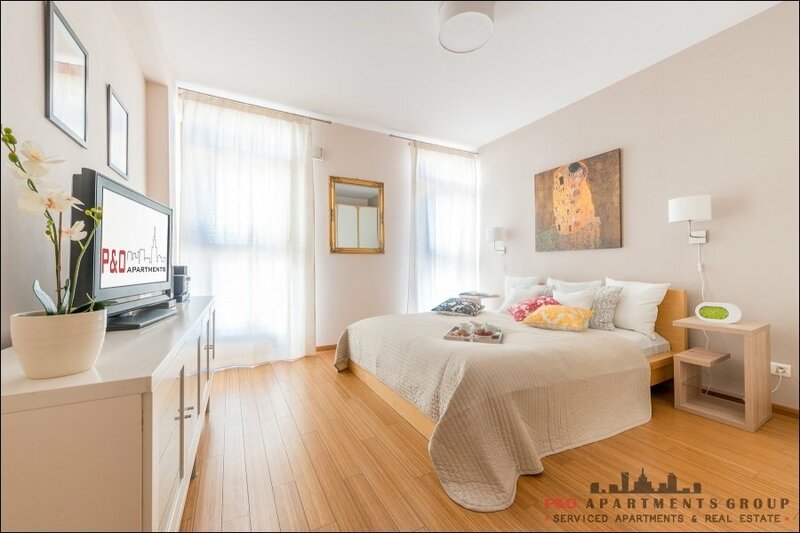 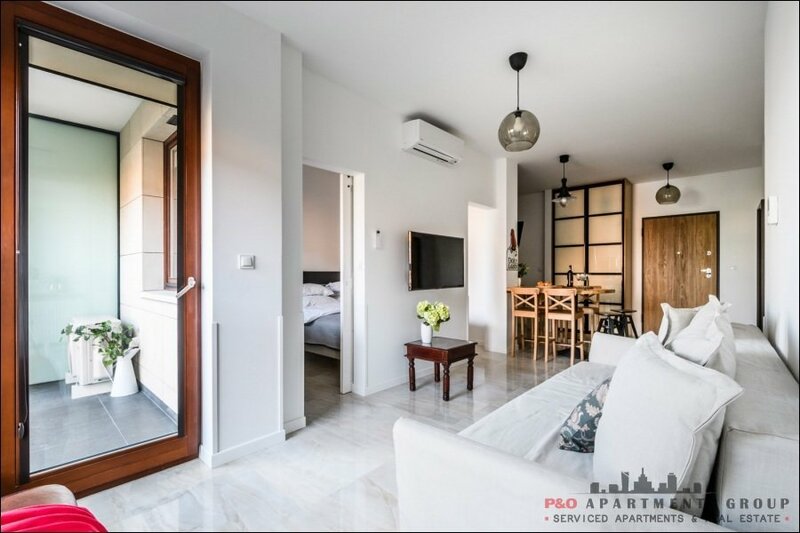 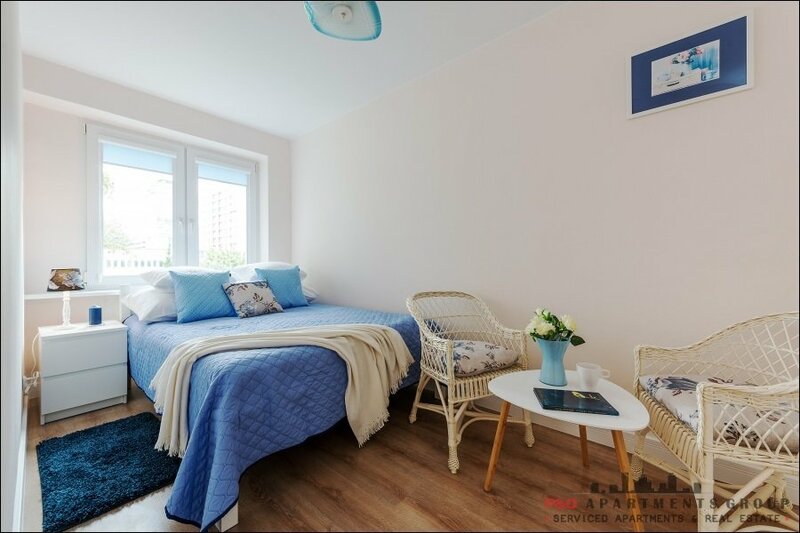 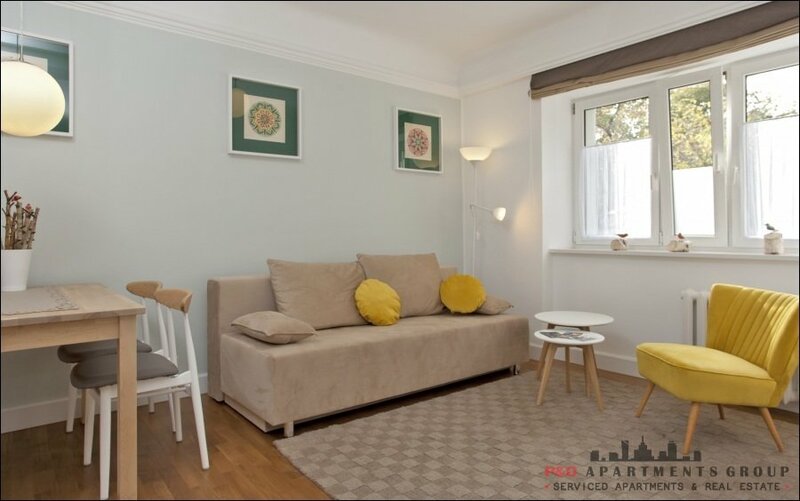 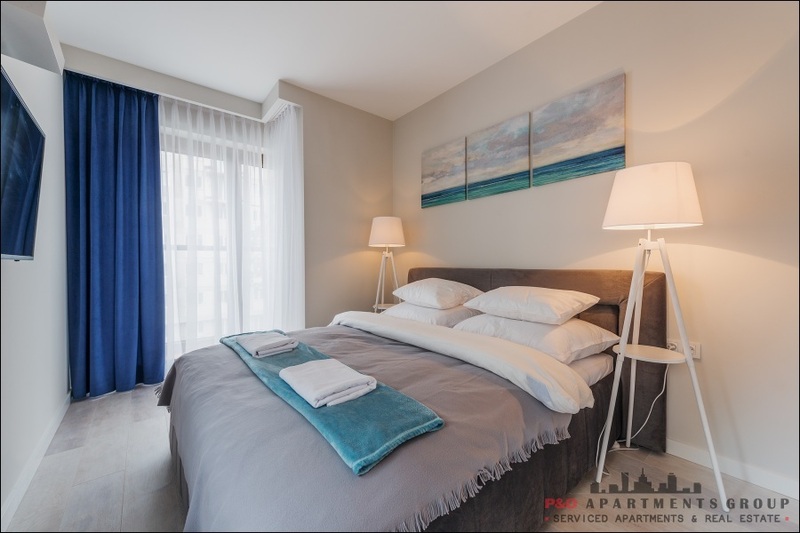 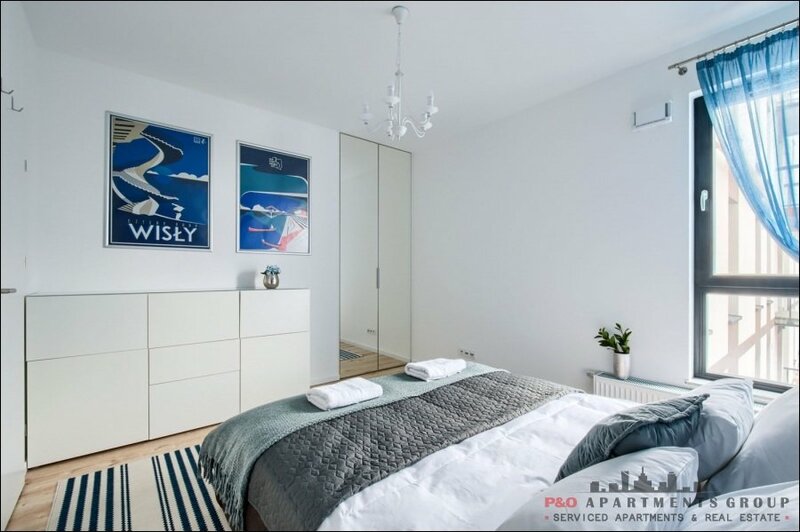 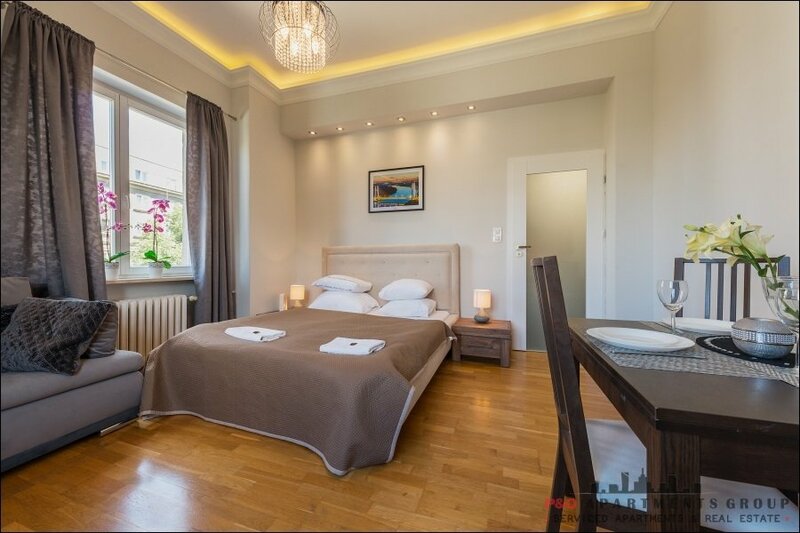 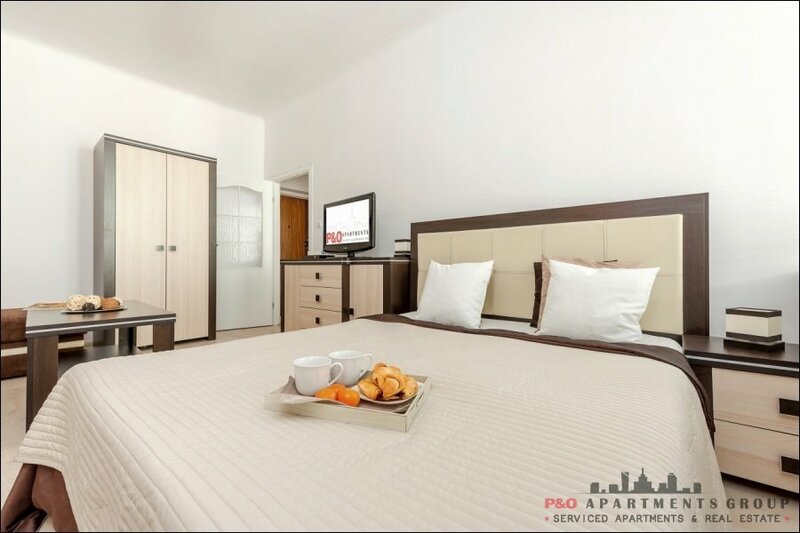 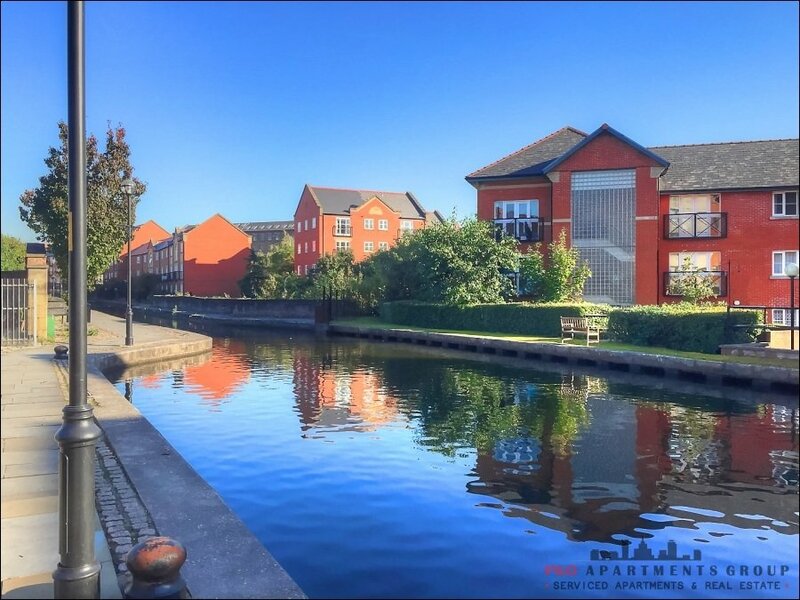 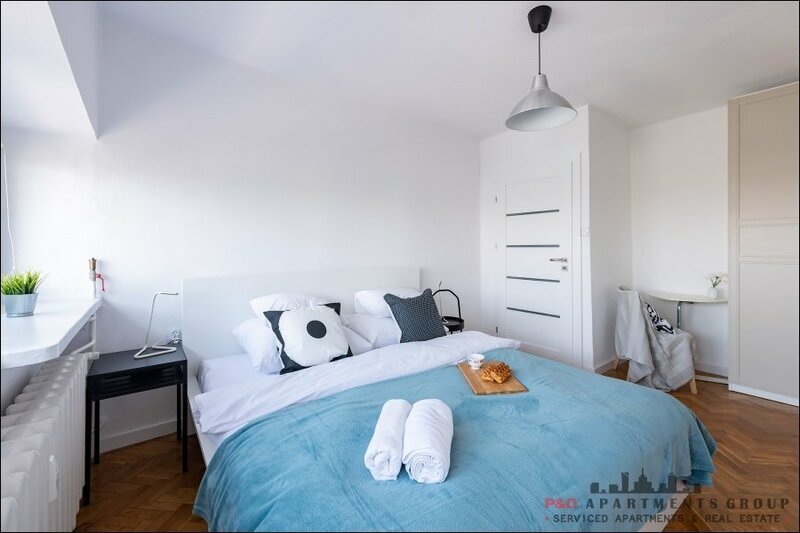 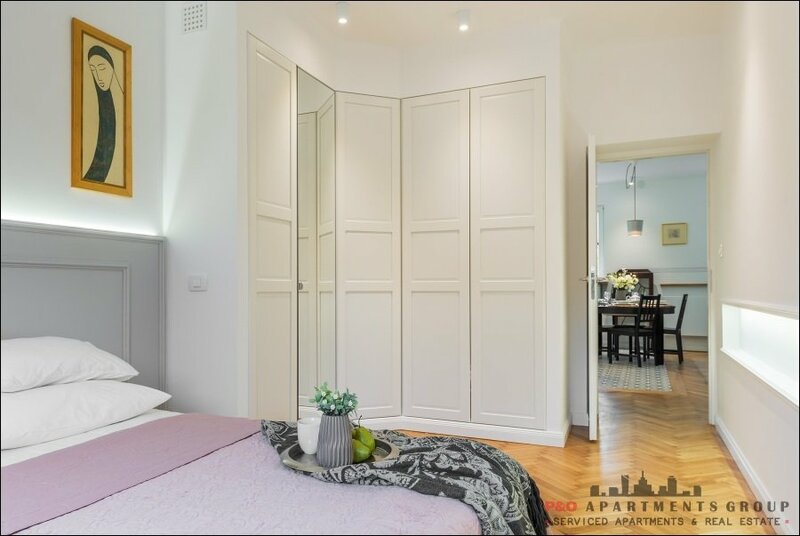 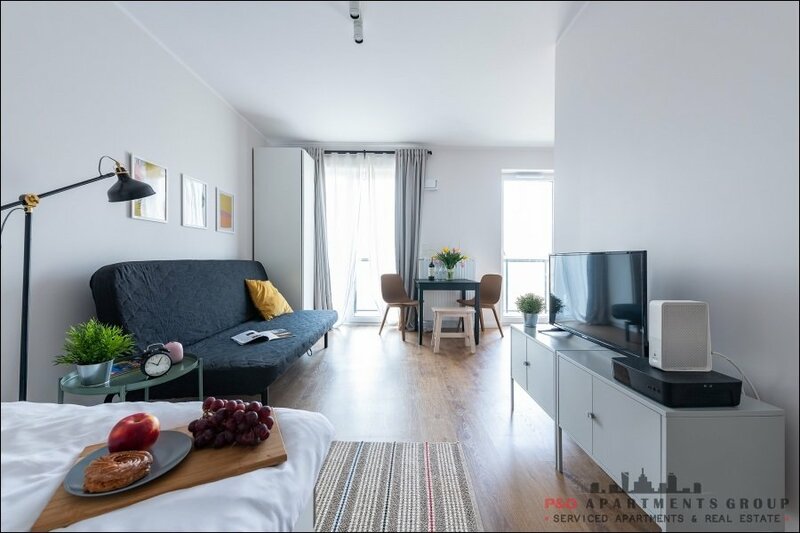 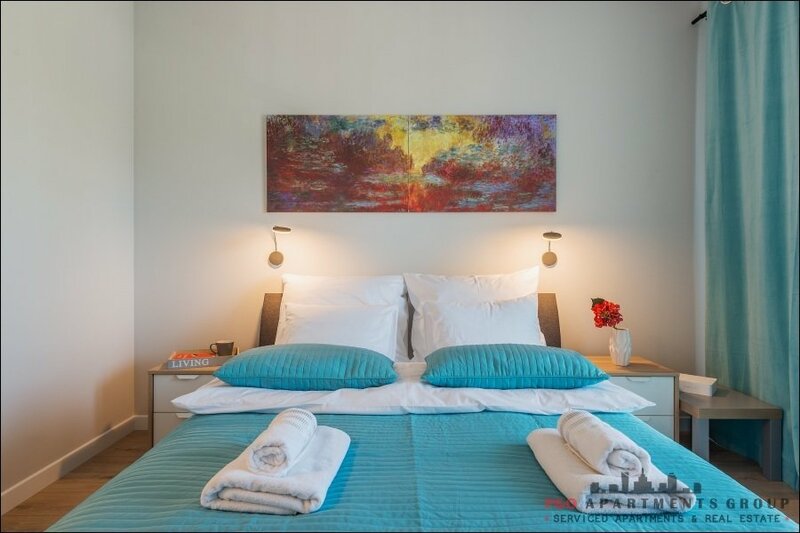 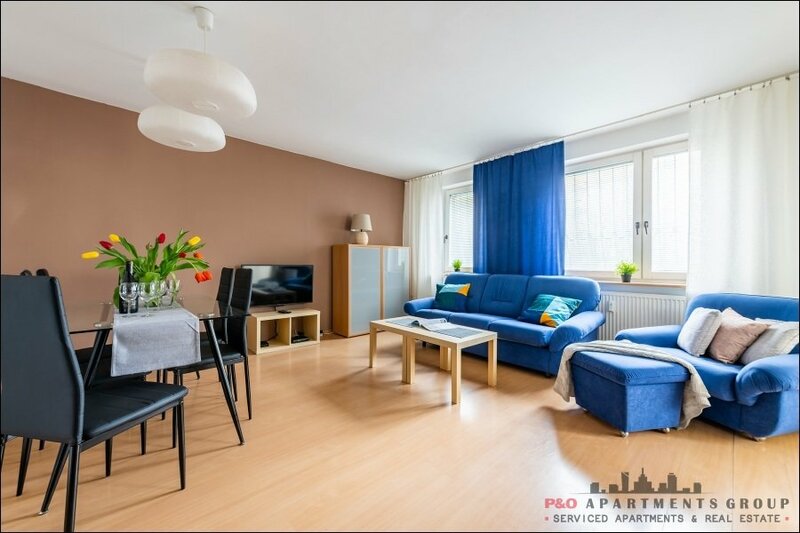 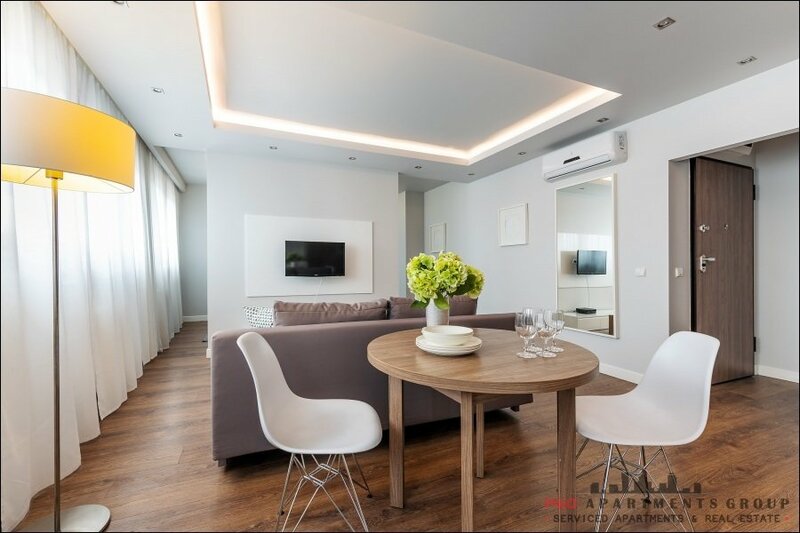 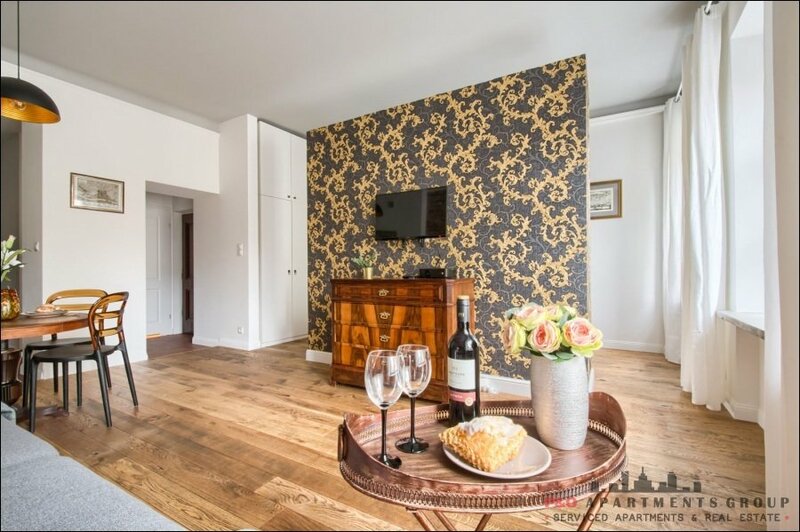 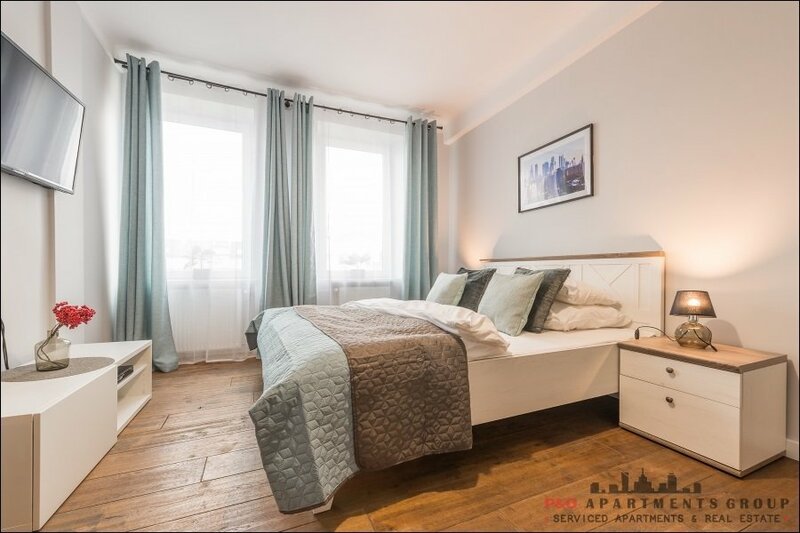 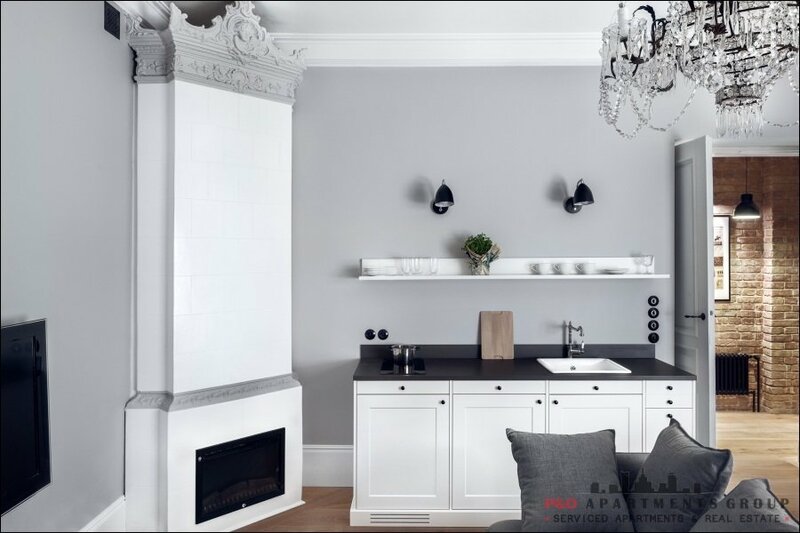 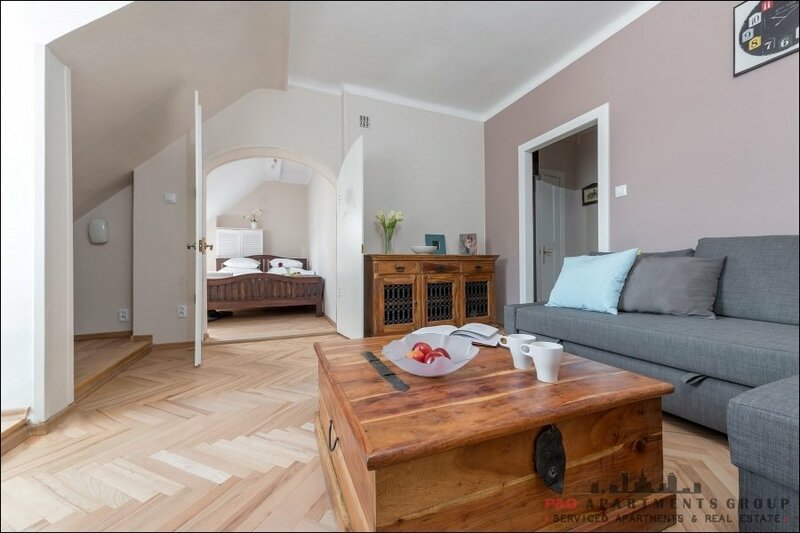 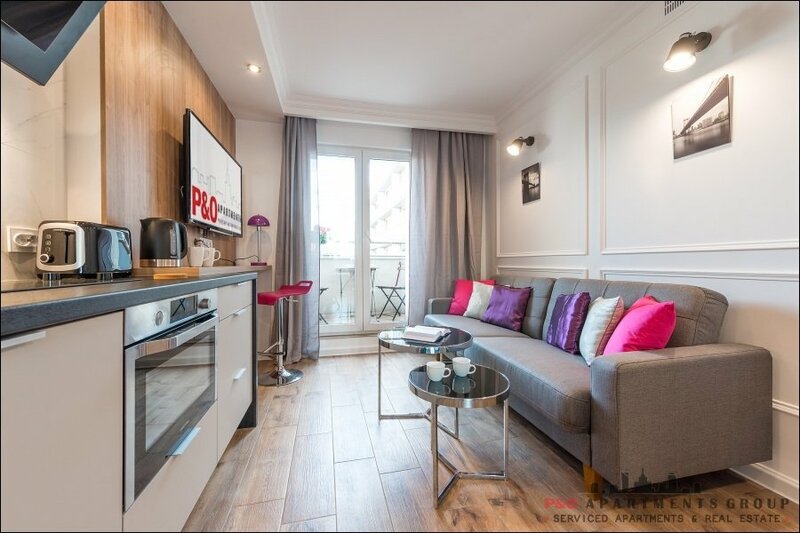 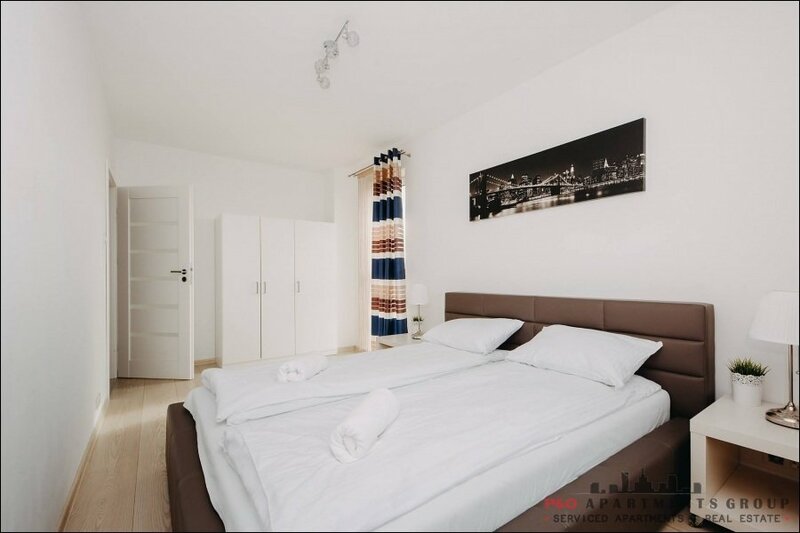 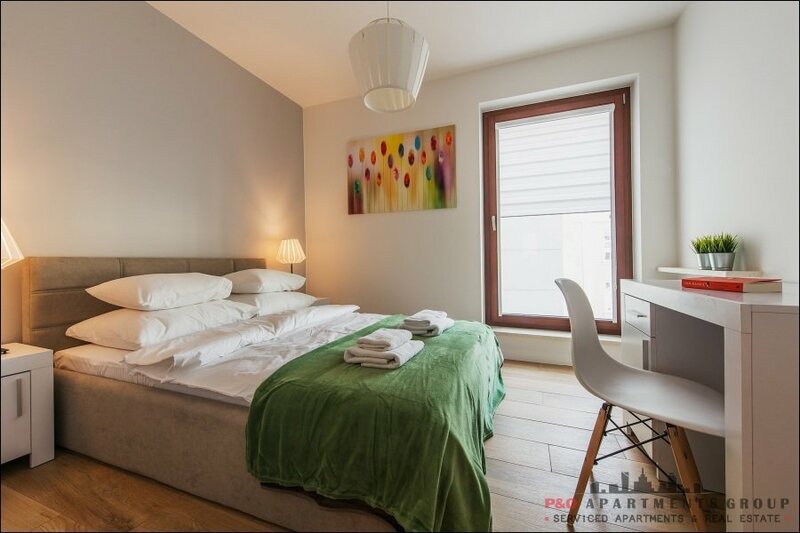 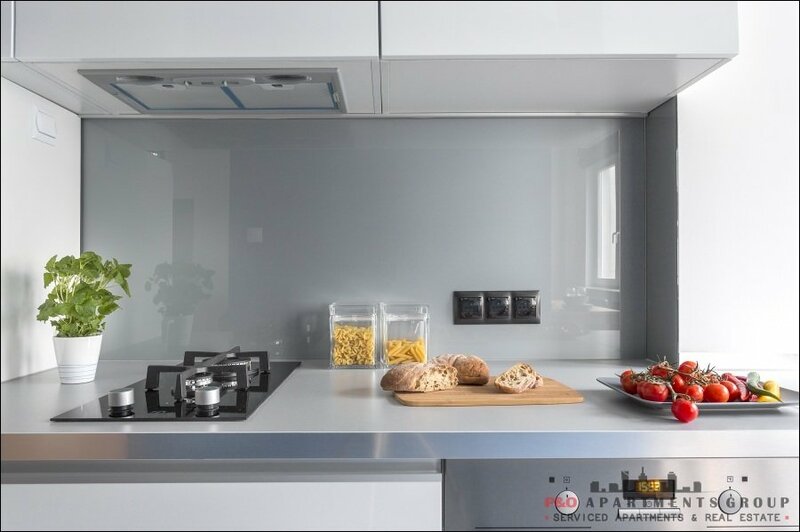 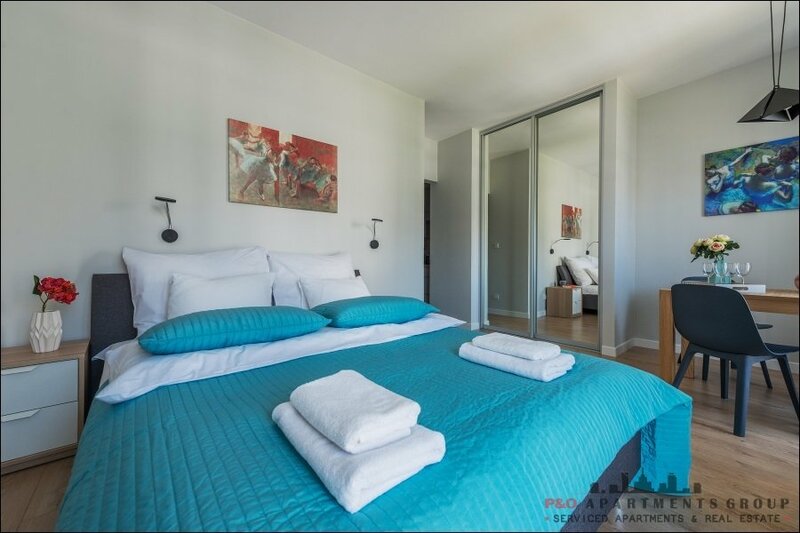 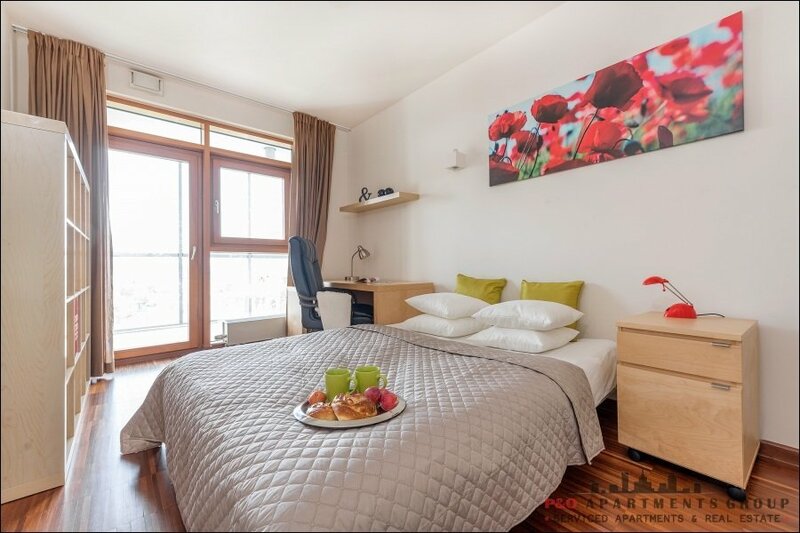 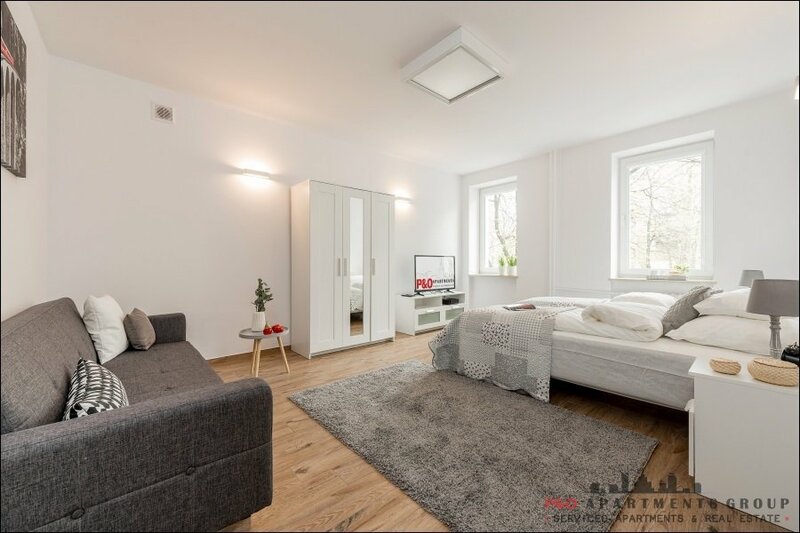 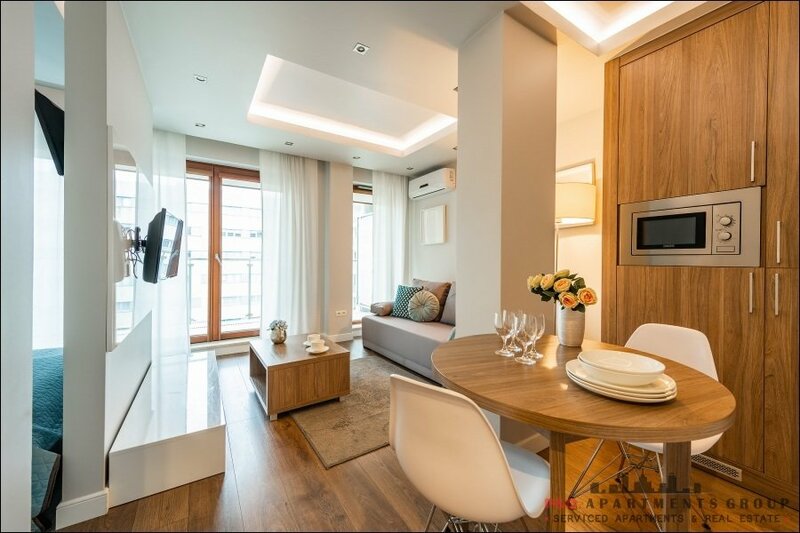 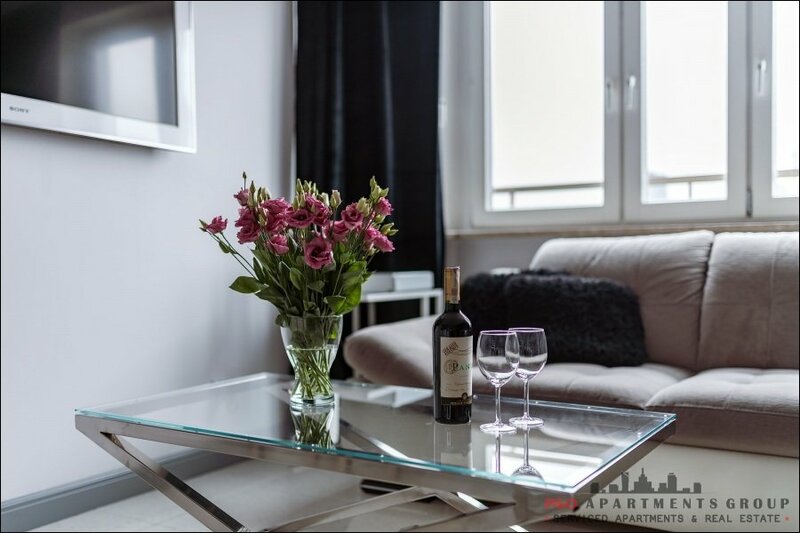 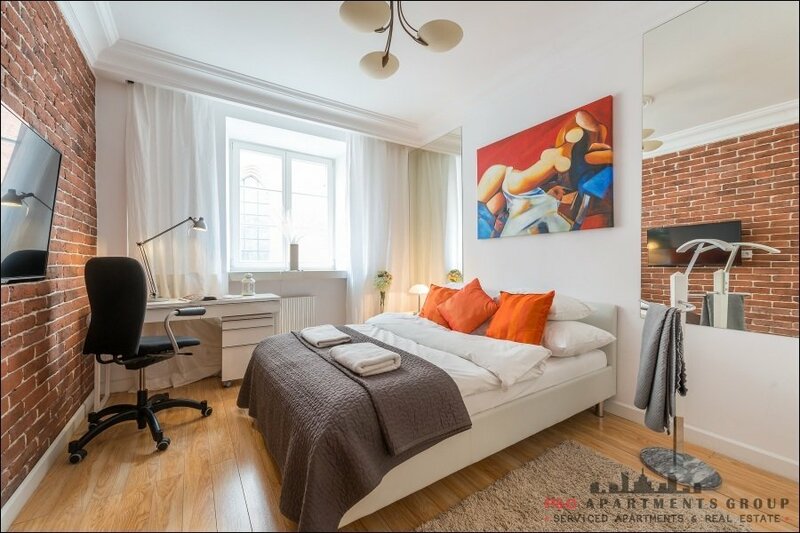 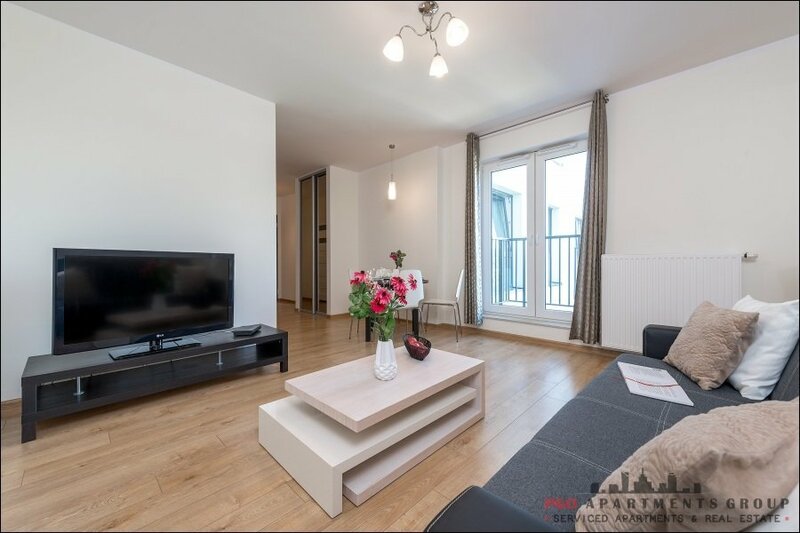 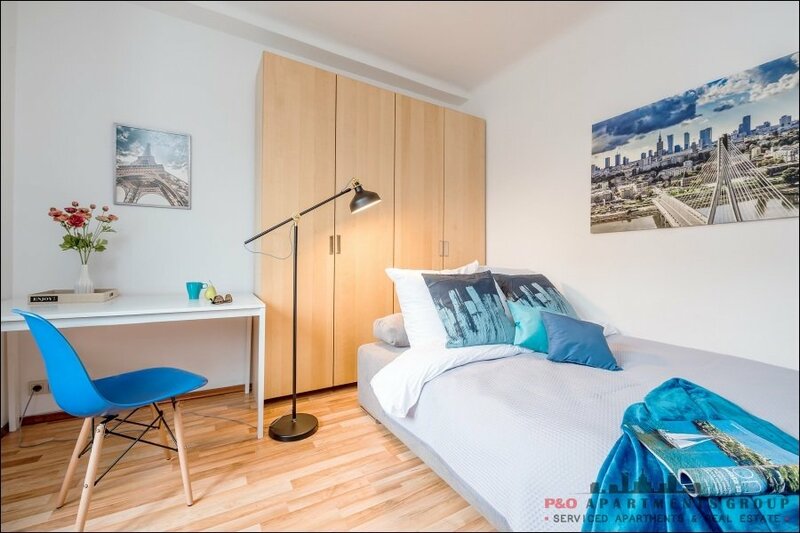 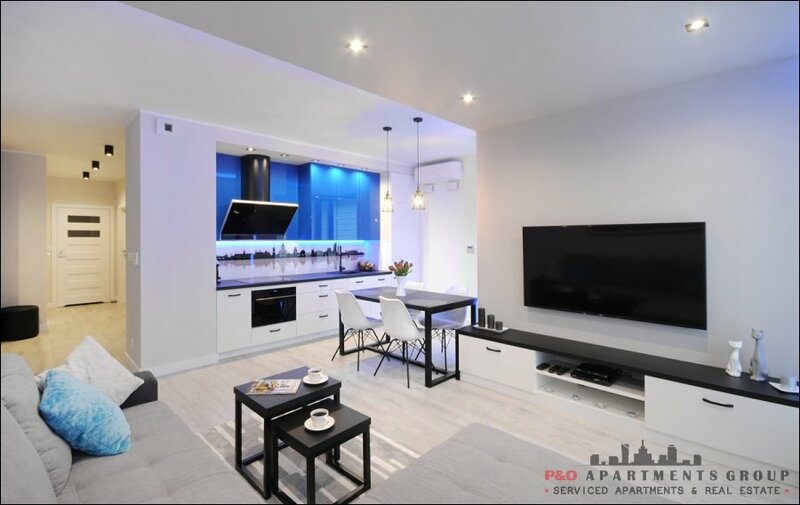 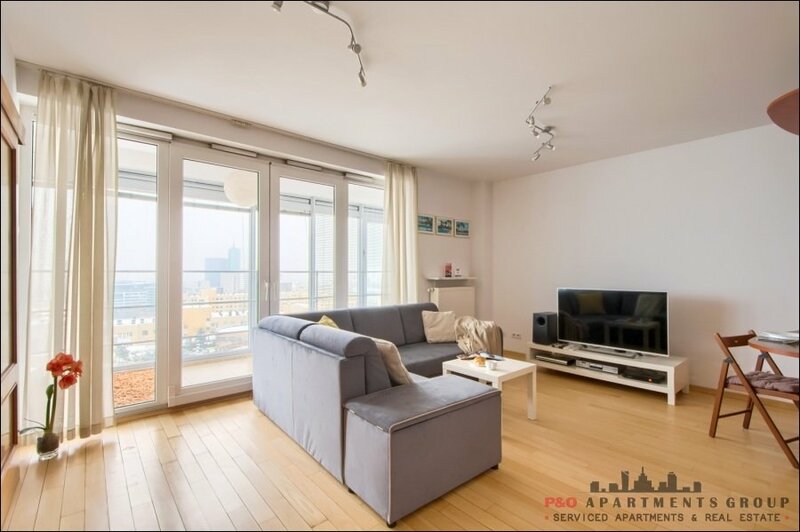 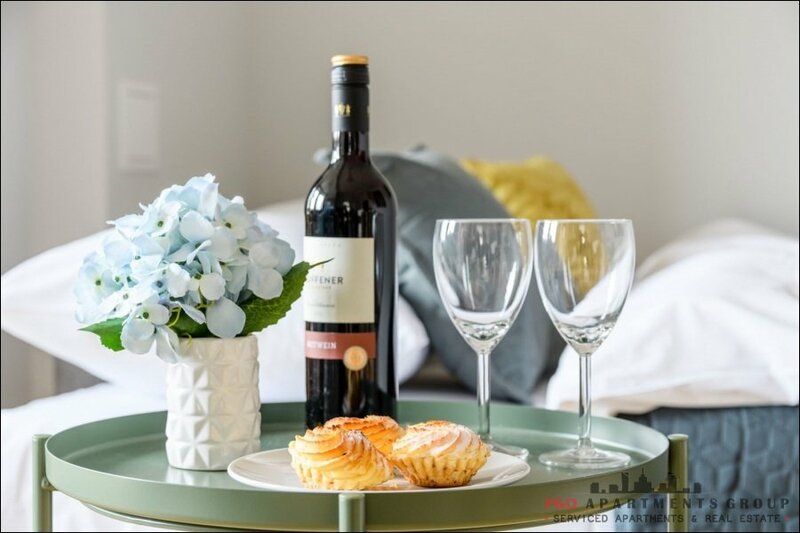 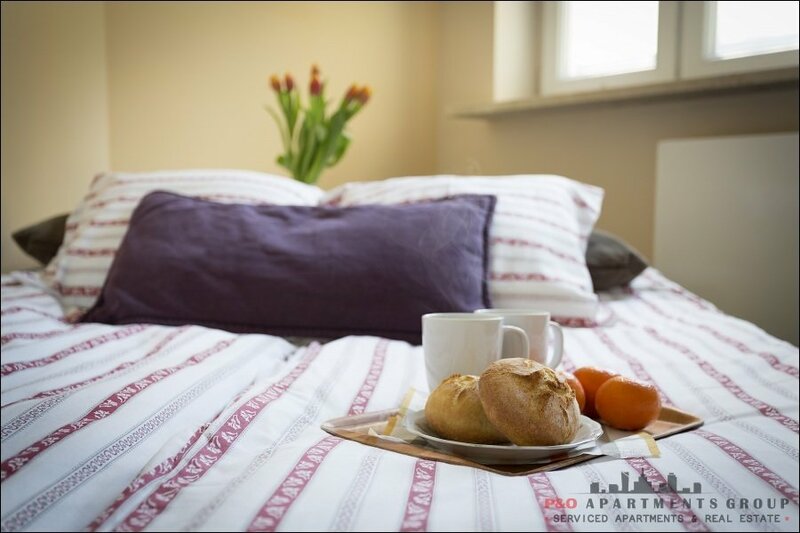 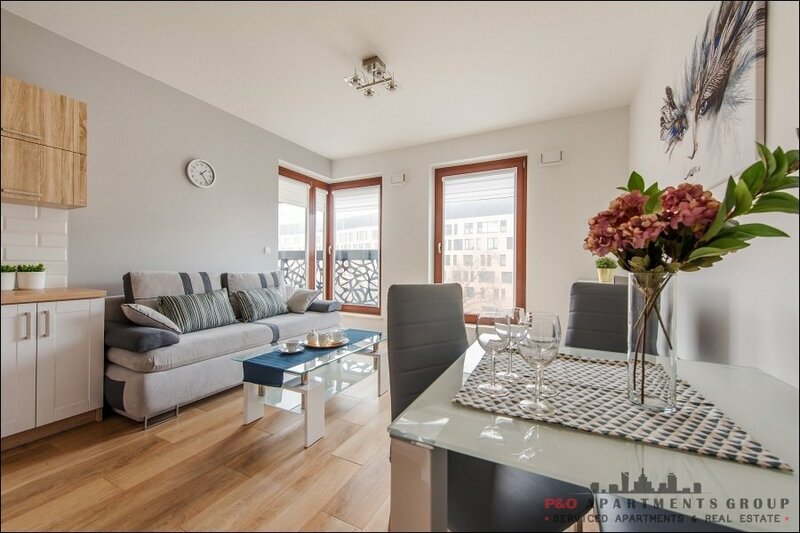 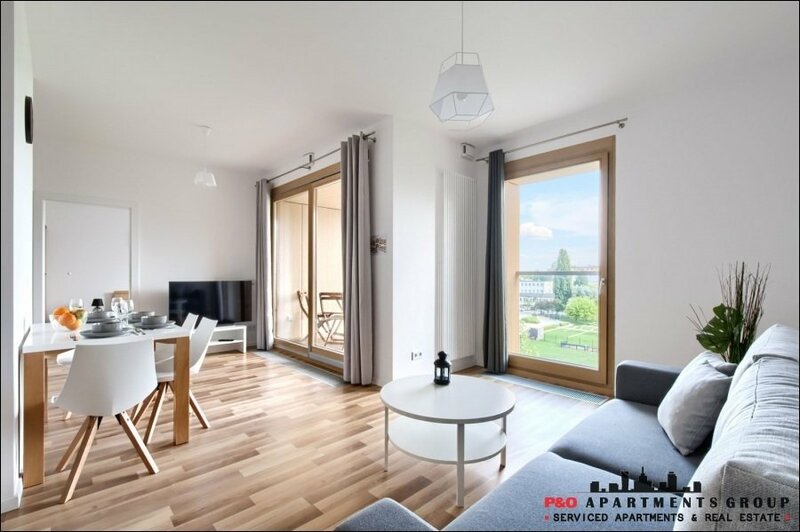 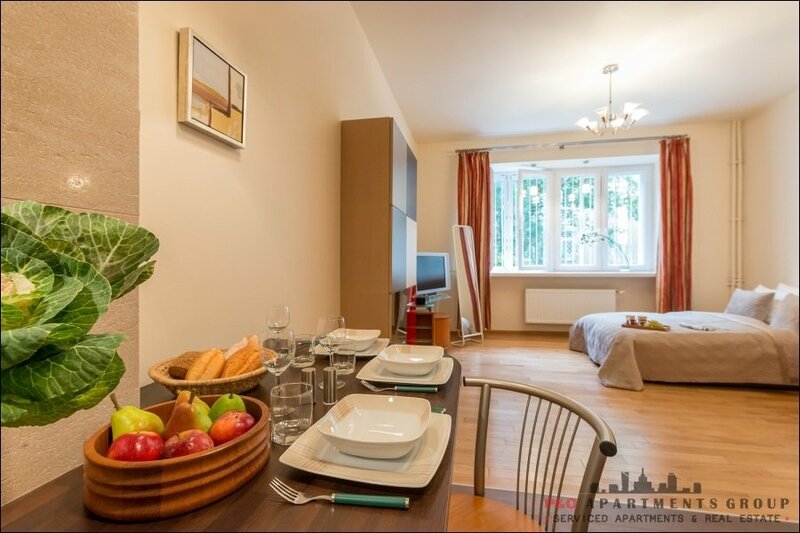 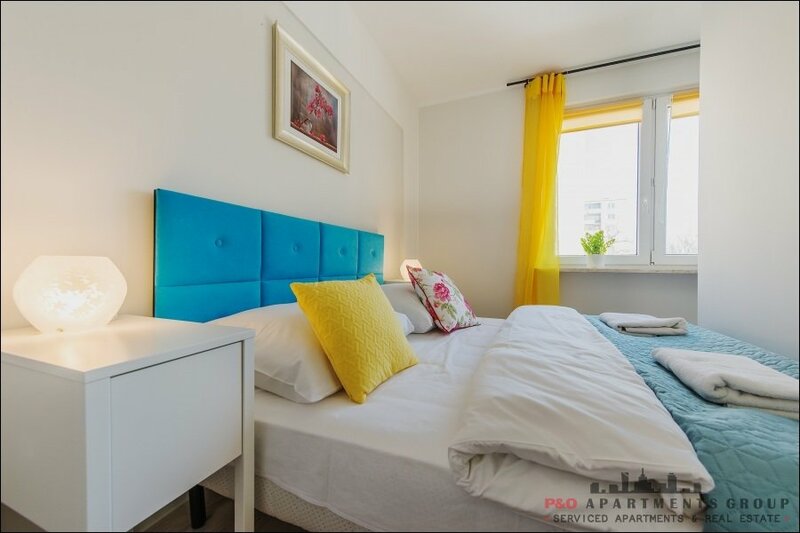 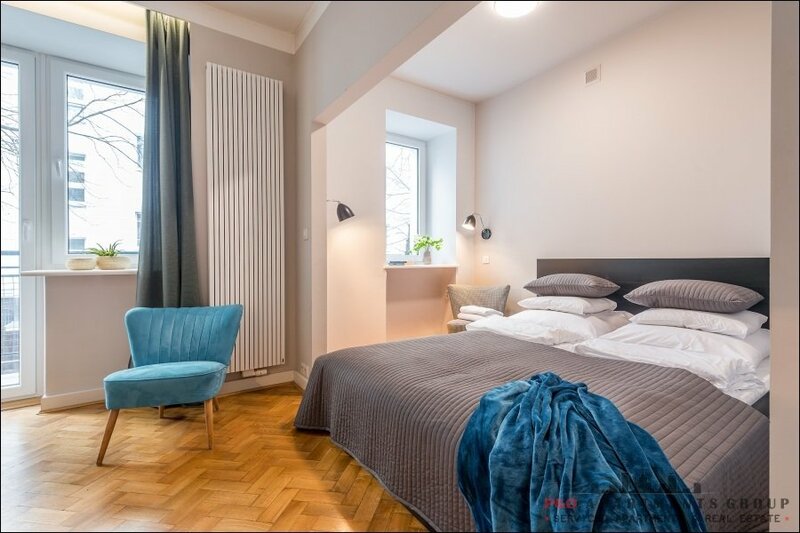 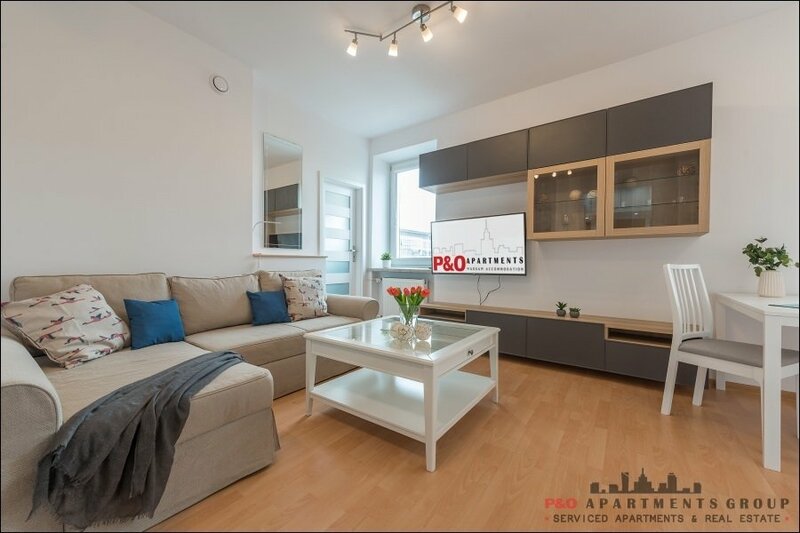 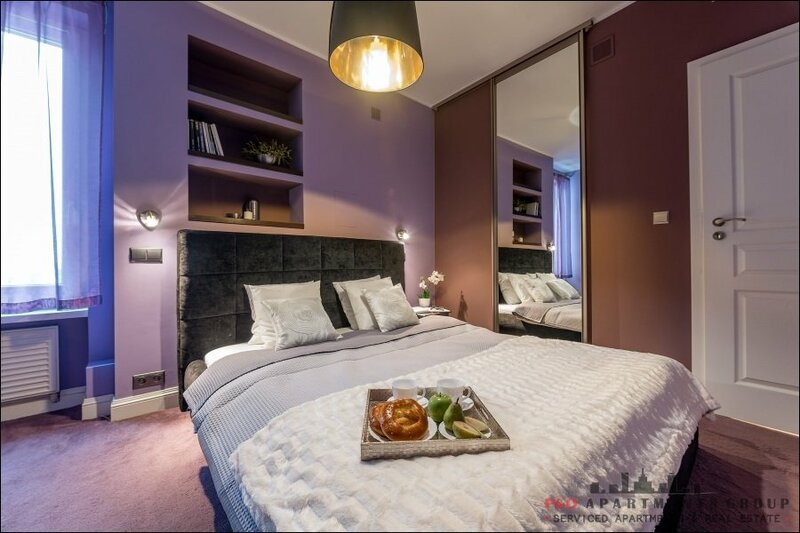 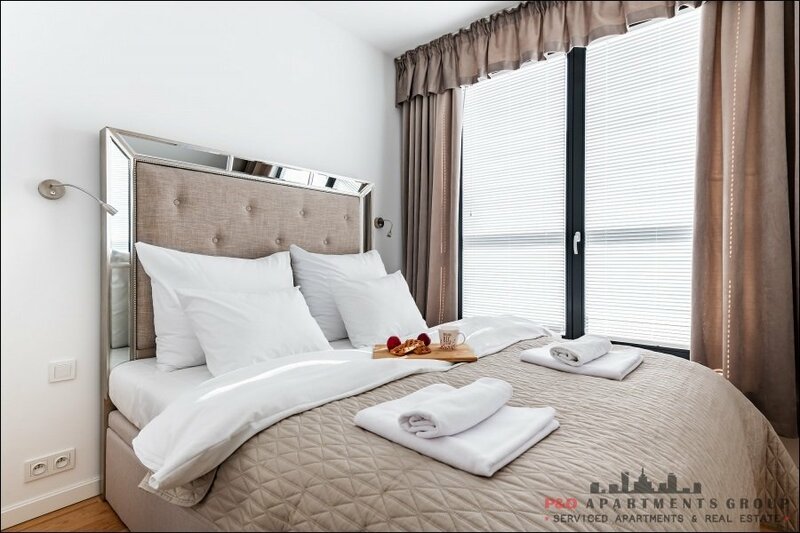 The apartment consists of a living room with a kitchenette, in which there is a sofa bed 2-seater, a table with chairs, the kitchen is fully equipped and allows you to prepare a meal on your own. 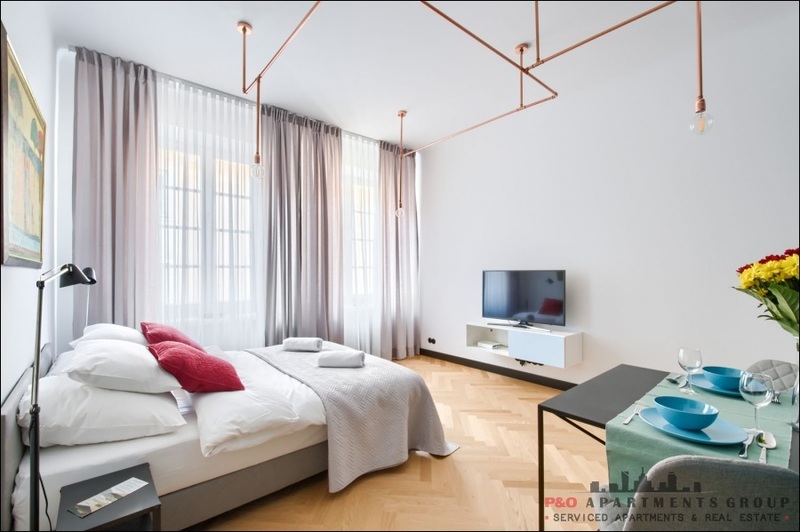 A separate bedroom provides comfort, a bathroom with a bathtub and a rain shower. 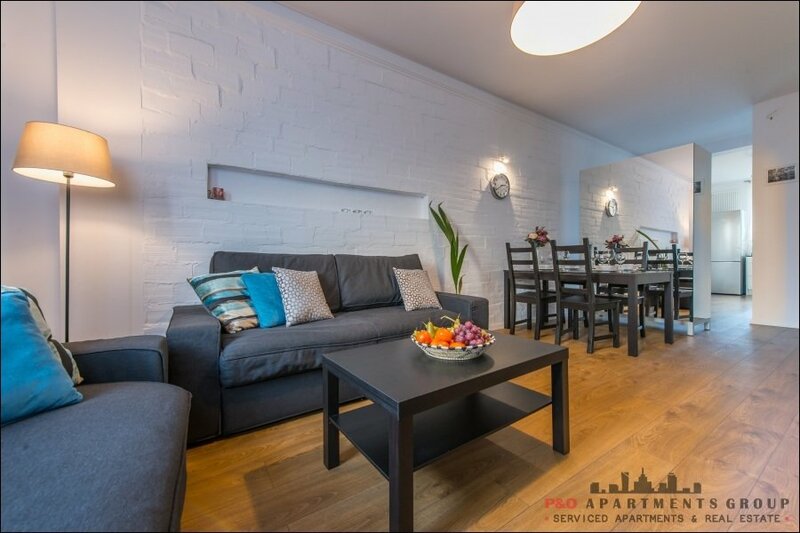 The building has a reception, downstairs garage and service points, and a grocery store nearby.